Tips to Buy a New Piano. We invite you to please consider these piano buying tips BEFORE visiting ANY piano dealership, for ANY new or used piano, at ANY cost, for sale. The beginning (and especially, the end) of the year is one of the best times to buy a NEW piano, for several reasons. If you are buying a used piano, click here. As a piano technician, pianist, and former piano salesperson at a well respected piano dealership ['names have been concealed'...], I've compiled a few brief and CRITICAL tips to review, BEFORE marching in to bargain and/or 'price shop', at any local authorized piano dealer. I encourage you to please (1) print out this list, in addition to (2) the page link you see below (see #3). These tips will save you at least $1,000 -- minimum -- on any NEW piano you decide to buy, no matter how great a deal you think you may be getting (and have been promised) at your local piano dealership. SO before you go in to spend ANYTHING, on ANY new piano, at ANY piano dealership, please 'negotiate' the tips you see below, BEFORE going into bargain with their salespeople. 1 - Shop around, online. 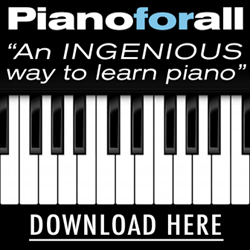 PianoBuyer.com lists ALL retail prices of 98% of new pianos for sale on the market. After you gather the facts and piano brands you want to go after, run a comparison (free tool, of incredible value, on their website) on pianos of similar size and value. 2 - Be willing to walk away. In many respects, piano dealers are no different than new and used car dealers. Research ads - both local and online - from piano dealers' competitors, and see whether or not a local dealer would be willing to match prices. Choose ads from both off-line (newspaper, mailer, flyer, etc.) and online sources. Most piano dealers are willing to match the cost and terms of an ad posted by their competition (online & offline) to make way for this (and next) year's inventory. If they refuse to budge, hand them a piece of paper with your (1) name, (2) e-mail or phone number (burner number is best, if the salesman seems pushy), (3) the piano brand / model you're interested in, and (4) your BEST out the door price (piano + tax + delivery + 4 tunings = one cost) and walk away. Notice, I said, "Your" out the door price. Not theirs. You've done your homework. You know what's out there. You're not their average shopper, so give them a chance to respond. But most importantly, give them a chance to explain their position to you, also. If THEY are truly SERIOUS and SINCERE about making the sale -- and STAYING in BUSINESS -- they will at least consider your terms and offer, and get back to you with their best counteroffer. 3 - Insist on four (4) in-home tunings - included in the price - during the 1st year in service. You might [politely] remind the dealer [please excuse all caps], 'PER THE MANUFACTURER AND The NATIONAL PIANO MANUFACTURERS ASSOCIATION'S RECOMMENDATION', or the Piano Technician's Guild website (see link, below). Do not let them tell you "the pianos have been kept in tune on the showroom floor" and "they require only the first initial tuning", included in the cost, after delivery. 4 - Ask for their 100% "Upgrade and Trade-In Option". Granted AND Guaranteed. Valid within 5 years of the purchase date. Get it in writing. Some dealers will offer to upgrade a piano, applying 100% of the purchase price to a 'higher' and more expensive model, within 5 years. Some offer this option within 10 years. 5 years is fair, 10 years is better. 5 - Dealer should include, at no extra charge, delivery & setup within the price tag of the piano. Delivery can range anywhere from $200 to $450+ for baby grand and grand pianos (with no stairs), however, "free delivery" is quickly becoming a 'higher standard of service' in the retail piano industry. 6 - Buy the Piano Book by Larry Fine...and visit PIANOBUYER.com. Visit Amazon.com: Get the book and read, immediately. This is the LEAST EXPENSIVE INSURANCE you can find when searching for a new or used piano for sale. Surpass the knowledge of the dealer. Read the Piano Book. Study it. Learn what makes pianos differ, and don't let dealers talk you into buying something of inferior quality [mass produced pianos, made in China], when you can own something of superior quality, near the same cost, made with superior materials, craftsmanship, testing, quality control, touch response, and sound. These are only a few tips to consider when shopping for the best deal on a new piano for sale. 7 - Contact us BEFORE going into a dealership - and not after. Sorry, we can't help you after you've gone in and tried to negotiate the terms and price, on your own. We would be delighted though, to help you negotiate both, before going in. ...and Please INVEST in the Piano Book ($20) before you decide to search for a new or used piano on sale. It's worth every cent. We hope you've enjoyed these tips on buying a new piano and encourage you to contact us if you need any further or future advice or assistance. You owe it to yourself, your family, your institution, and your organization, as you educate yourself further on piano quality and maintenance, as you actively seek out and select the best piano of your choice... of a lifetime.